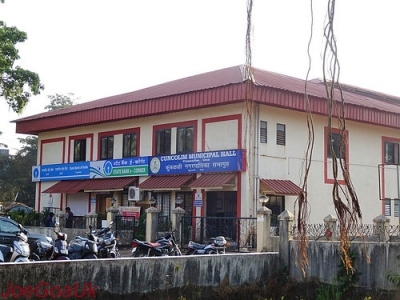 Anti-Corruption Branch of Vigilance has filed a corruption case against officials of Cuncolim municipal council for a fraud to the tune of Rs 3.79 crore in 12 years. Political heads may also roll during investigation for the period between 2001 to 2013. A complaint in this regard has been filed by Satish Desai, additional director of the urban development department, based on the audit report 2012-13. The audit report has identified several irregularities like procuring dustbins and bio-culture powder without inviting open tenders but by calling quotations. The audit team also found payments made to various contractors without even taking signatures on vouchers. The payment slips also do not bear signatures of either the chief officer or the chairperson. The period cited for the irregularity in the funds received as grants is between 1 March 2001 to 31 March 2013. The ACB of directorate of vigilance has registered a criminal case under sections 409, 120-B IPC and Sec 13 (1) (c) (d) r/w 13 (2) of PC. Act 1988. The case is under investigation under the supervision of Senior SP V A Gupta, states the press release.